I’ve been thinking for weeks about what I want my 2011 New Year’s resolution to be. Last year’s resolution Eat Less Meat went really well, which puts a lot of pressure on this year’s resolution. Yesterday it finally hit me what I want to do: join a CSA. I’ve been thinking about doing this for years and am finally going to take the plunge. The great thing about this year’s goal is that it supports last year’s goal very nicely, so I can continue on my theme of eating more plants, less meat and less processed food. CSA stands for community-supported agriculture. Basically, a local farm or group of farms delivers produce weekly to a drop spot near your home. You pay a flat rate and get whatever happens to be in season. It’s a great way to eat seasonally and locally! Click here for more detailed info. Perhaps I should give a quick report back on last year’s Eat Less Meat goal, which was not about going vegetarian but about reducing our family’s demand for meat and processed foods. I feel like it was super successful and is something I have been able to incorporate into my daily life. I buy so much less meat than I used to, which has been beneficial to my pocketbook and my health. I am much more thoughtful about how I use meat and I really appreciate it when we do eat it. The resolution definitely has changed how I think when I buy food, and I am constantly aware and thoughtful about where my food comes from. I’m not perfect. Trust me. But I have made changes and I continue to do so in a sustainable and meaningful way. And to continue on with that success…CSA here I come! My goal is to not only join a CSA, but really learn how to use all the wonderful fruits and veggies that I will get each week. I’ve been scared to do it in the past because I know there will be produce that I don’t have experience with. But it’s going to be good for me to expand my horizons! Time for you to share some thoughts on resolutions. You know I love hearing from you! If you participated with Eat Less Meat, let us know how it went! If you are going to join a CSA like me, let me know – I don’t want to be alone on this journey! I love the fact that your new year’s resolution is to join a CSA. That is fabulous and inspiring. I might have to do that also! I have had a hard time coming up with a resolution list this year… the only one I have right now is to master the art of gluten-free baking! Yippppeeee! Yip Yip Yippeeee!! That’s me cheering for you, Jane. I am seriously so so excited to see what you cook with your produce!! I am already a member of a CSA of sorts. It’s an organic delivery service that aggregates produce from lots of small, organic local farms into a CSA-type box each week. So it’s like a CSA except it supports more than one local farm. Sometimes it’s hard to figure out what to do with the weird produce we get (mustard greens have me stumped), so I am thrilled to see what you cook up. As for my resolution, I’m trying to blog every day in 2011. No small task, but I’m looking forward to it. I joined a CSA last year and really enjoyed it. It gave me a great opportunity to try new vegetables that I wouldn’t have picked out myself. Plus, the veggies were so fresh and delicious that even my husband really enjoyed them. Interesting … would be more informative and helpful if you would identify just what a “CSA” is. We were part of a CSA last year. It was a great experience! And we tried many new foods that we wouldn’t typically eat. My (junk food loving) husband loved the fresh veggies and said he could tell a difference between the grocery store produce and the farm produce. Ours also offers shares of eggs and chickens. Going to the farm was one of the most fun parts and our son loved it. Some items were pick your own (raspberries, herbs) and they always had unlimited cut your own flowers. I did have to work a little more on preserving foods since we received way more than our family could eat each week. Hope you find a good one to join! I just can’t seem to get to the farmer’s market with my schedule so I am hoping this works better! We love our Farm Fresh to You box — signed up for it two weeks ago because of a New Year’s goal. Collard greens, mandarin oranges, tiny fingerling potatoes and more! So much more fun to be delivered produce I wouldn’t normally buy. You will LOVE it. We live in a rural community in Texas and even though farm land surrounds us I had a hard time finding a CSA that wasn’t hours away. Finally I talked a local farmer who sells to a organics to Houston restaurants to set up a veggie co-op for us!! It’s been fabulous and there are tons of people in our little community participating. It’s been an adventure learning to eat seasonally, but we love it!! I love that you went out and made it happen – so cool!!! and, I need to be uber grateful for the fact I have multiple CSAs to choose from!!! Great idea! I think I need to make this a New Year’s resolution, too 🙂 I’m always SO jealous when I read about other bloggers and their CSAs! I was a part of a CSA the last two years. I loved it! One of my motivations to join was to eat more vegetables. I have noticed my cooking repertoire expanding to include more vegetables, so that’s a success. Plus some vegetables I didn’t really like before have become much more enjoyable when eaten super fresh. I actually think I might skip the CSA this year as the farmer’s markets have grown. We even have a winter market! Instead of doing the CSA, I’ll buy what I want from the market. I did waste some of the produce from the CSA, because sometimes it was too much of one thing. This year I did a post on my blog for each week of the CSA. I showed what I received, and then several recipes using the produce. My next thing is preserving food. For Christmas I got some canning supplies. I haven’t tried any of the recipes yet, but I thought you might get some ideas from it. Yeah Jane! You will love it! We are CSA members with Eating with the Seasons http://www.eatwiththeseasons.com/ and it is wonderful. What makes it special is that you pick your own items online from the list of what is available the week before your delivery so you can plan your meals in advance. They also offer eggs, meat and lots of fun stuff on the side. My HUGE bag of local, organic produce is cheaper than the grocery store regular stuff. thanks for sharing that link…it’s the top contender now! I read Food Matters this past summer (got the cookbook for Christmas) and tried to be “vegan until dinner”. It was pretty difficult to eat out while trying to be semi vegan, so now I am only eating meat one meal a day (eggs and cheese are fair game any time though). alley, love that you made that your goal last summer – and love to hear how you’ve adjusted it to make it realistic. very cool! there’s a meat csa near us as well and I think a friend and I are definitely going to split that. glad to hear that pairing up with someone was a good experience! Good luck! I stated my resolultion here the other day, to start meal-planning! very cool – thanks for sharing that link! I had always wanted to join a CSA also…and finally did last year. It was great! Definitely worth doing. Good for you for joining the CSA! We’ve always flirted with the idea, but our local famer’s markets are year-round and wonderful, and I like the interaction with the different growers and the whole experience of going there. Plus, the CSA pick-up times and locations never seem to quite dovetail with our schedules. I keep thinking about it, though! Started a CSA through our synagogue late last year, the nice part is they email what is in the box on Friday and you can choose whether you want it or not that week. We then pick it up during our carpool run on Tuesday evening. J&P Organics is the supplier. Great value and fun to try new stuff. That’s awesome! I kind of did things backwards. My resolution THIS year is eat less meat, eat more veggies and beans. I had been wanting to join a CSA for awhile but I wasn’t sure how it would go with just two of us in one house. I got lucky and found a farm co-op that trying out a winter CSA so it was only half a season. I got to try it out for a shorter time and see how I felt. It was really fun! I tried new vegetables I had never heard of and I also learned how to plan meals better. The veggies from farms are so PRETTY compared to the stuff you find at the store too. I’m a produce snob now. Makes it kind of difficult for the rest of the winter but it was a really good experience and I will definitely be joining a full season CSA this summer! I am totally in for a CSA in 2011! I need to step out of my cooking comfort zone. This way we can eat healthier AND support local farmers! The CSA in our area offers a half box which is perfect for the three of us! I joined a CSA in 2008 and in 2010. I loved them. The variety was amazing. The surprise every week was fun. This year, however, I’m just purchasing from a local farmstand and the farmer’s market because I realized that sometimes, I just want to make whatever I want and when I had an abundance of CSA produce, I felt obligated to use it rather than purchase more somewhere else. I’ll probably join again in the future. Can’t wait to see your adventures! Now I live in a more rural area surrounded by farms. There are very few CSA options, however I have a local farmstand down the road in warm months and have my own garden I started this year. The CSA was so wonderful because it would get my children excited about vegetables. They loved unpacking our box and seeing a table laid full with all the colors and textures, and would want to taste everything. We also loved the variety, and the ‘surprise’ factor, coming up with ways to use all the vegetables. I do think this would make things a little difficult for people on a tight schedule with work and making dinners. But really it was so fun. You will love it! Hmmm…apparently I’m one of the few who tried a CSA last year and really didn’t care for it 🙁 I stopped after 4 months for several reasons. 1) There were several times that I had items that were already bad or would go bad in a day or two 2) I really didn’t know what to do with half the items we received, which is my fault for not making much effort in looking up recipes I guess & 3) I realized how much I prefer picking out my own stuff at the grocery store! I think the biggest issue for me was that I still had to go to the grocery store for fresh items & that was one of the biggest reasons I thought a CSA would be beneficial for me – thinking that it would mean I would only need to do 1 grocery run a week because mid-week I would have a fresh box of food delivered. Not so. TOTALLY don’t want to be a “downer” on CSA’s – don’t get me wrong! Just being honest with my experience. I plan on looking at the links that others provided – I am open to trying it again, only I know I have to change my expectations as well as my reasons for joining. I still love the idea of aiding organic farms for sure. But I didn’t like feeling that the food I was receiving simply was not worth the price each month. I can totally understand that happening and see why you would feel that way. I think joining with another couple was helpful, because we could brainstorm together on meals and split such a large bounty. In addition, I think it’s important to choose a co-op where you are getting variety in a box, and that does vary depending on the CSA. You also have to think that you are only getting what is absolutely in season, so if you need a lemon or ginger root for a recipe it IS another trip to the grocery. Our particular CSA sent us recipes which were very helpful when we weren’t feeling the inspiration, I think other CSAs might be open to that. Ooo what a great resolution to join a CSA… I wonder if there is something like that nearby where I live. I have a whole stack of resolutions but one of my big ones is to start weekly meal planning, to save time and money and to try to be organised enough to have healthy meals planned before I go to the markets or grocery shopping. I am not the most organised person but it is a great habit I want to get into (and I feel like there was very little wasted food in our house the past 2 weeks since I have been doing it). Thanks so much for the inspiration and motivation! Jasmine – go to http://www.localharvest.org. Find a farm you like in your area and see if they do a CSA or if, at the very least, they are involved in a farmers market. I think you can narrow your search down to CSA’s also if you want. 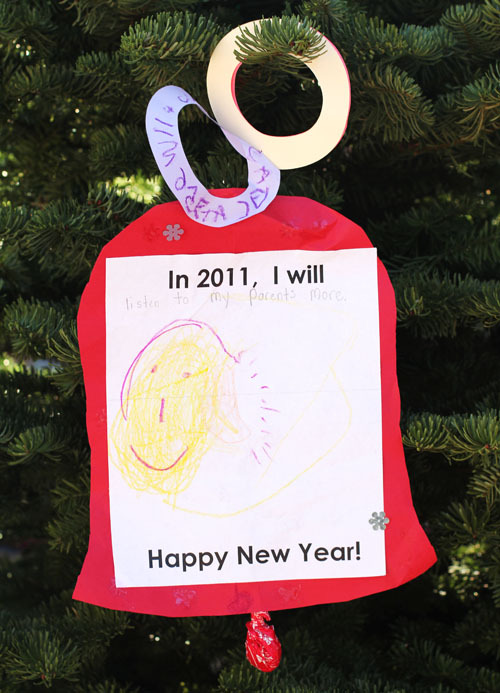 I have this SAME resolution on my list! I love going to the farmer’s market, but I like the idea of getting my own designated basket of goodies each week! And I like the idea of both eating in season most of the year, and of getting things I may not have picked on my own! Where I live we have limited spring/summer farmer’s markets months and with a CSA I can expand that to more of the year! Love your site I just found it a few weeks back and it’s great!!!! I’ll be stopping by often! That’s a great New Years’ resolution. I keep telling myself I’ll join a CSA, and then I never get around to it. Maybe this year I’ll actually do it… I just have to wait til the spring! Hi Jane and all bloggers!